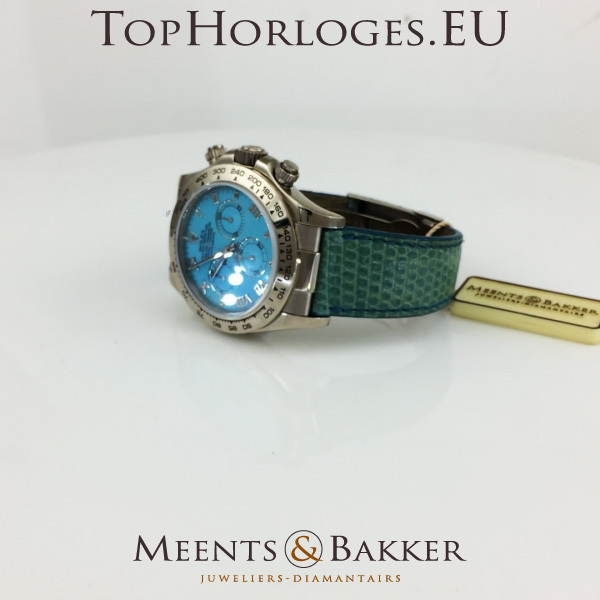 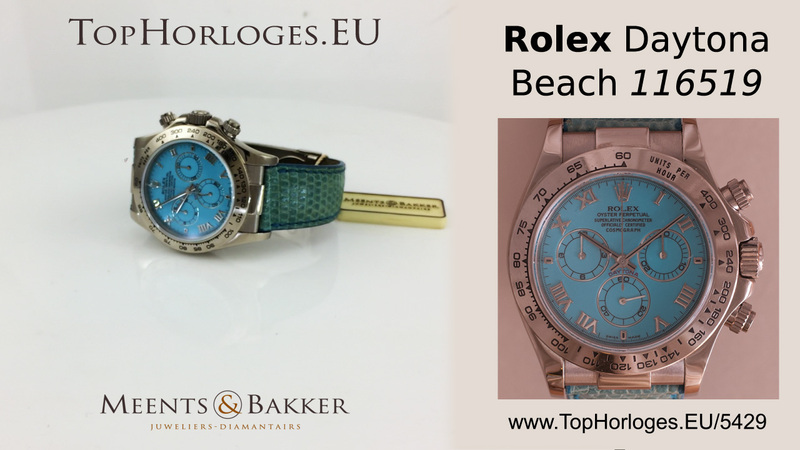 Een witgouden Rolex Daytona deze " Beach" uitvoering is in een prima staat. 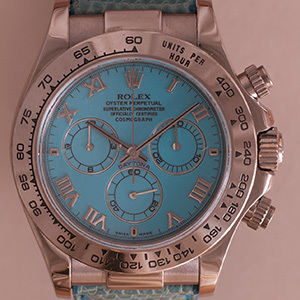 Very desirable Rolex Daytona Blue Beach, this whitegold chronograph is a good condition. 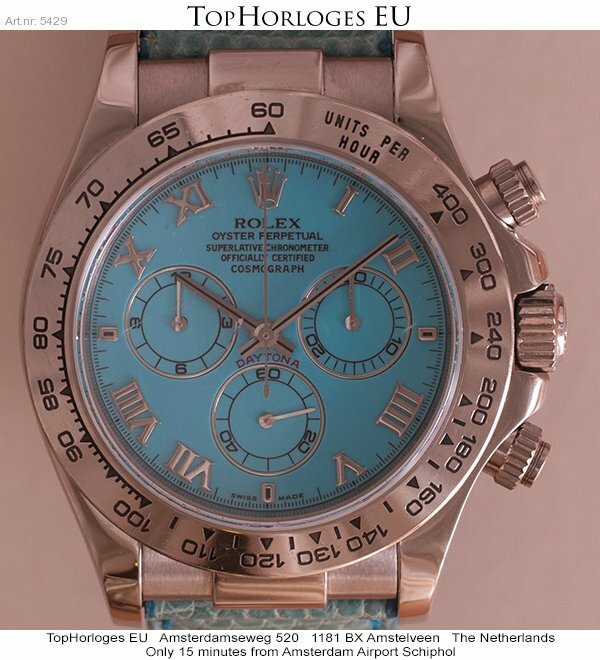 It comes in a luxery giftbox, our in-store certificate of authenticity and 12 months warranty.